Aluminum doors and windows become more and more popular in people’s life. 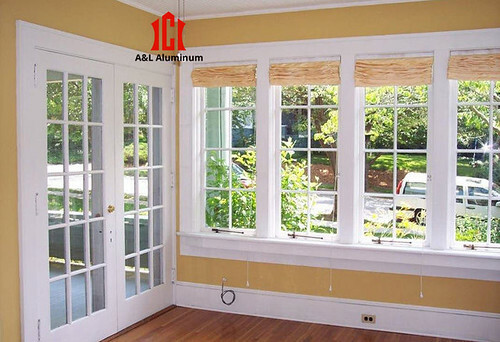 As professional aluminum doors and windows manufacturers --Alaluminum can provide you high-quality architectural aluminum windows, aluminum door frames, and other aluminum products. Do you know the difference between aluminum and plastic doors and windows?Let me tell you some of them. Because steel doors and windows are low in material strength and rigidity, they are enhanced by adding lining steel, but their wind pressure resistance and water tightness are about two grades lower than aluminum doors and windows. 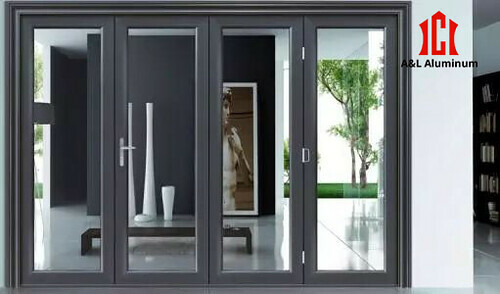 In addition to airtightness, the water tightness and wind pressure resistance performance of plastic-steel doors and windows are worse than those of aluminum alloy doors and windows. This result is unexpected, but after further analysis, it reflects the important issues in the quality of steel doors and windows. 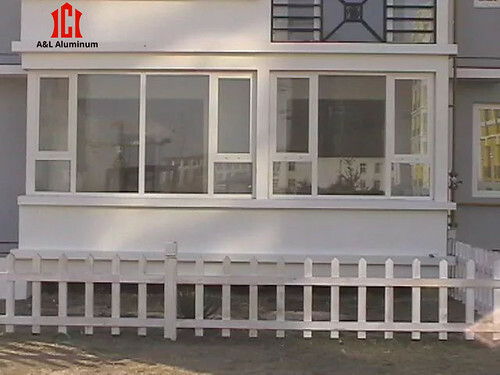 Moreover, because the steel doors and windows are not connected to the complete frame system in the corners of the inner corners of its profiles, the plastic welding angles of the window frames, the four corners of the fan, and the small-sized dots are relatively low. Because the steel doors and windows are welded by the frame and fan components, their air tightness should be slightly better than the aluminum alloy doors and windows connected by screws. 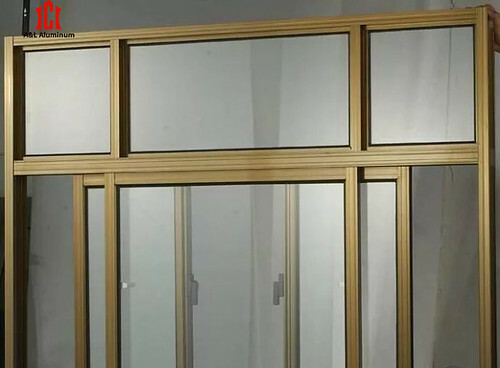 However, the aluminum alloy door and window profiles have higher dimensional accuracy, and the frames and fans are tightly fitted, so the two are still in one level. modern aluminium windows of the insulation performance is not as good as steel doors and windows, but according to the thermal conductivity of the window calculation formula k = 1 / (1/ ai + Rw + 1 / ae) window heat transfer coefficient k value depends not only on the form itself The thermal resistance Rw (reciprocal of the heat transfer coefficient of the form itself) also depends on the forms. The indoor and outdoor surface heat transfer coefficients ai and ae; and according to another calculation formula k = k box · f + k glass · (1-f), the window heat transfer coefficient k value from the window frame, fan components and window glass The composition of the k-frame and k-glass of the second part is directly related to the ratio f of the window frame fan occupying the entire window area, while the frame fan of the aluminum alloy window accounts for about 10% of the entire window area than the plastic steel doors and windows, and the profile of the aluminum door frame and window fan is also Not solid, and the hollow aluminum wall thickness (actual thermal bridge) is about 40% smaller than the plastic profile wall thickness. The commercial steel window has poorer daylight performance than aluminum alloy doors and windows, and the light shielding area of the frame sash components is about 10% larger than that of aluminum alloy doors and windows. The visual field and decorative effect are poor, which is not conducive to energy saving and consumption reduction of architectural lighting. The sound insulation performance of the alum windows is mainly based on the sound insulation effect of glass which accounts for about 80% of the window area. 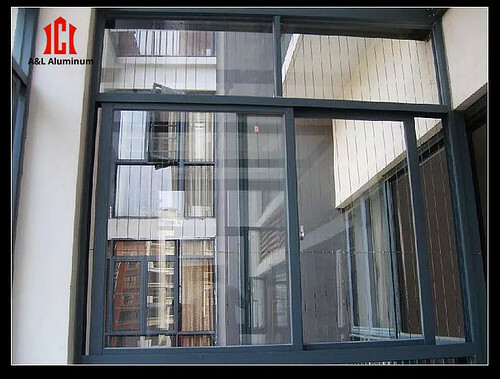 The gap sealing level of aluminum alloy doors and windows and plastic steel doors and windows are basically the same, and its sound insulation performance is basically the same. Plastic steel doors and windows and aluminum alloy doors and windows have a series of sound insulation performance measured and comparative experiments; 5mm thick single glass steel doors and windows sound insulation volume is 21 ~24dB or so; 5+12A+5 hollow single-frame double glass steel doors and windows 24 ~ 29dB; double glass sound insulation than single glass about 5dB; plastic steel doors and windows and aluminum doors and windows "in the glass thickness, structure the same and sealed In a similar situation, the weighted sound insulation RW is similar.